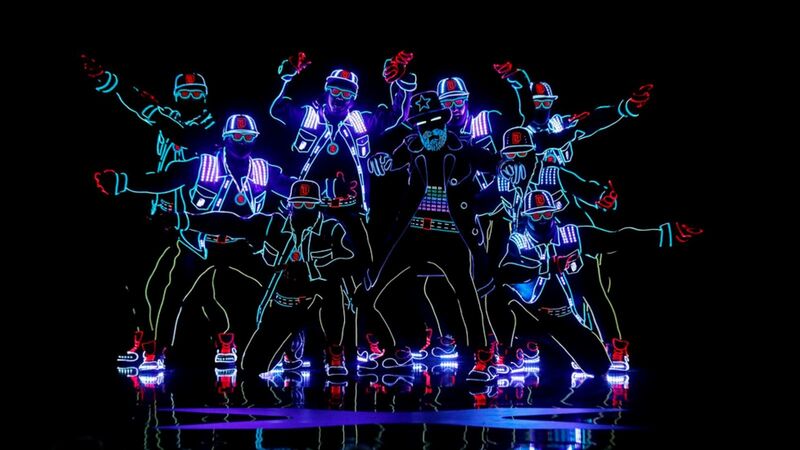 Quite possibly one of the most explosive and vibrant performances America’s Got Talent has seen yet, Light Balance is quick to steal the show. This past week’s routine illuminated the stage with their mix of music, a surplus of lasers, sharp choreography, and lest we forget their magnificent body suits. Audiences witnessed an incredibly creative story seemingly between a werewolf and Dracula. Their unique lighting techniques and visuals make for one spectacular show. Despite not being able to perform live due to a technical malfunction, the showing of their dress rehearsal left all judges and audiences in awe. Judge Howie Mandel called the screen performance “original and amazing.” Mel B was quick to follow up giving the group an “absolutely brilliant and creative” mark. Light Balance does a phenomenal job displaying how dance culture is incorporating top-notch technology into their style and routine. These contestants are knocking down the competition this season. They’re living up to the golden buzzer, which was pressed during the initial auditions by host Tyra Banks. There’s nothing like standing in front of a glowing light show, left to simply admire and applaud for talents such as this — and their second, live show performance is a testament to their true talent and creativity.